Vehicle borne IEDs (VBIEDs) are devices that use a vehicle as the package or container of the device. 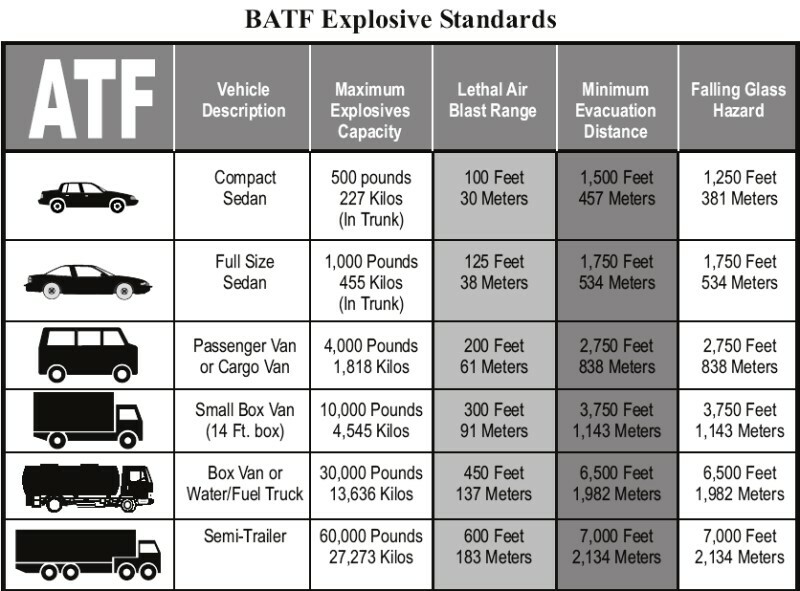 These IEDs come in all shapes, colors, and sizes which vary by the type of vehicles available - small sedans to large cargo trucks. There have even been instances of what appeared to be generators, donkey drawn carts, and ambulances used to attempt attacks on Coalition Forces and the New Iraqi Government. Larger vehicles enable larger amounts of explosive that can be used, resulting in a greater effect. Functioning of devices can vary within the same methods as the package types and can have the same common characteristics or indicators as other IEDs. VBIEDs have increasingly used larger amounts of explosives, and the explosive charge has ranged anywhere from 100lbs to well over 1000 pounds. 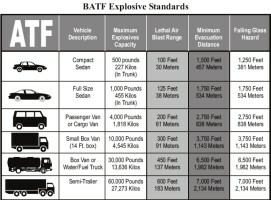 The explosive charge has included items such as mortar rounds, rocket motors, rocket warheads, PE4 explosives, and artillery rounds. A growing technique in VBIED attacks in Iraq has involved the use of multiple vehicles. In such instances, the lead vehicle is used as a decoy or barrier buster. Once stopped or neutralized and with coalition forces starting to move to inspect or detain - the main VBIED comes crashing though and into the crowd before detonating; thus resulting in an increase of the casualty ratio.